I am very excited to announce that I will be presenting the Yarn in Ireland Q&A panel at Woollinn this May! This panel is composed of Carol Feller (Stolenstitches), Edel MacBride (edelmacbride.com), Johnny Shiels (spinningwheels.ie) and Diarmuid Commins (STwist Wool) who are some of the top names in the Irish Yarn industry right now. They have agreed to share their unique insights into their professions along with answering some questions from Woollinn attendees. This is a free panel for those attending Woollinn but registration is required and you can do that here. Over the last 2 years of working on this blog and podcast, I know just how interested all of you are in Irish wool production as well as what it takes to be a professional knitwear designer and international knitting teacher. The last year as PRO officer for the Irish Guild of Weavers Spinners and Dyers has really tested my knowledge of spinning wheels and hand spinning in Ireland so for all of you who have been in contact with me about my Shiels spinning wheel, now is your chance to talk to the man who made it! Finally, if you wanted to know about Irish wool production for hand-dyeing, I can’t think of a better person to chat with than Diarmuid Commins. Having started STwist Wool in 2013, Diarmuid has gone on to grow a yarn company focused on using Irish yarn from sheep all over Ireland. This panel is scheduled for 11 am on Saturday, May 25th and you can find out more over on Woollinn.com. Reserve your spot for the panel now over here. Don’t have a Woollinn Ticket? Don’t worry you can still purchase advance tickets (10 euro) here. 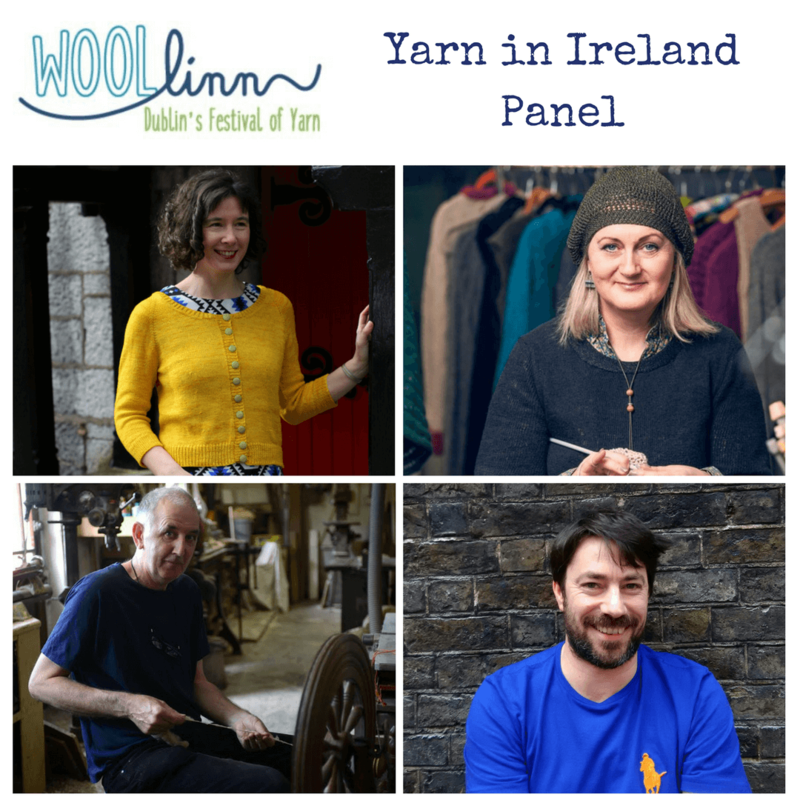 There will be more updates from me on Woollinn (Dublin’s first Festival of Yarn) over on the podcast and you may notice that the guests on the podcast are all appearing at Woollinn this May too!